How'd you do? Weed Warrior volunteers worked tirelessly for three hours with team leaders from the Forest Service, Anchorage Park Foundation, Bureau of Land Management, and others . In that time, many European bird cherry trees were removed from the forest. Photographs will be posted shortly and we are working to get a copy of the broadcast report from KTUU on Saturday evening. Thank yous. Weed Warriors enjoyed a lunch of pizza courtesy of Anchorage Parks & Recreation, topped off by cookies donated by Great Harvest Bread Company. Raffle prizes were donated by Alaska Wildland Adventures, Denali Outdoor Center, Alaska Railroad, Rust's Flying Service, and Tall Trees. Commemorative t-shirts were provided by Citizens Against Noxious Weeds Invading the North (CANWIN). Sincere thanks to all our amazing donors for helping to make this event so successful! Are there more smackdowns planned for 2016? This smackdown is a once-a-year event. 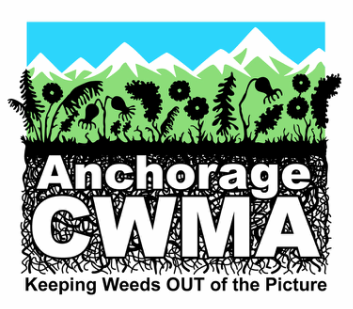 However, there are additional opportunities to help go after invasive weeds working with the Anchorage Park Foundation. 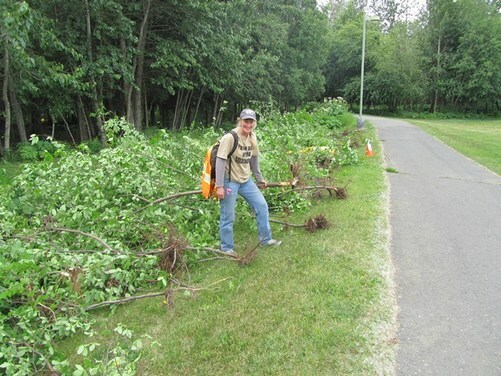 If you'd like to be learn about future events, please e-mail ak.invasive.plants@gmail.com.